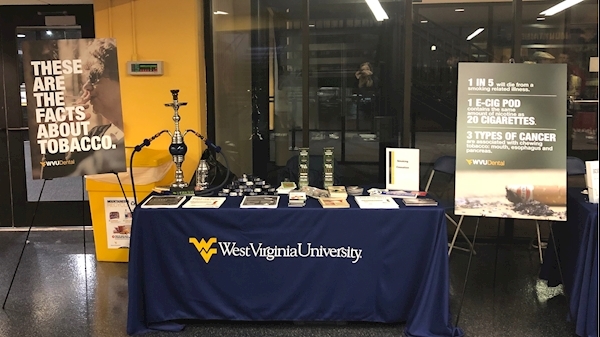 Faculty and students at the West Virginia University School of Dentistry are leading tobacco cessation efforts at the Health Sciences Center, both in the classroom and the clinic. In 2018, WVU became the first dental school to receive accreditation as a Certified Tobacco Treatment Training Program. Through that certification, the School of Dentistry hosts a continuing education course for a multitude of healthcare professionals to learn how they can work together on treatment plans for patients trying to become tobacco free. During the recent 2019 West Virginia legislative session, Senate Bill 348 was voted down in the House Health Committee. The bill would have raised the legal age to use tobacco in West Virginia to 21. School of Dentistry’s Susan Morgan, DDS, clinical professor in the Department of Periodontics, has been following the law closely. Reflecting on her own tobacco research and cessation awareness programs over two decades, Morgan agrees with 2018 statistics and information in America’s Health Rankings. Meanwhile, Morgan is working with dental and dental hygiene students to engage patients in tobacco cessation conversations and offer evidenced-based strategies to help them to quit. Most recently, a group of students took the public awareness campaign to the WVU Coliseum for a men’s basketball game. A single e-cigarette pod contains the same amount of addictive nicotine as found in one pack of cigarettes. An hour using a hookah is like smoking 100 cigarettes. Some brands of smokeless tobacco contain the same amount of nicotine found in four packs of cigarettes. Nicotine can affect developing brains. Summarizing from The National Institute on Drug Abuse, “Research shows that the changes that occur in the adolescent brain related to tobacco may extend tobacco use into adulthood and contribute to a higher rate of substance use among those using tobacco during adolescence,” explained Morgan. In a state where addiction rates have captured both national and international attention, stopping tobacco use could have a positive impact on substance abuse statistics. “Smokers who quit during addiction treatment have a 25 percent increased likelihood of long-term abstinence from alcohol and other drugs,” Morgan added, mentioning information from a National Behavioral Health Network article. 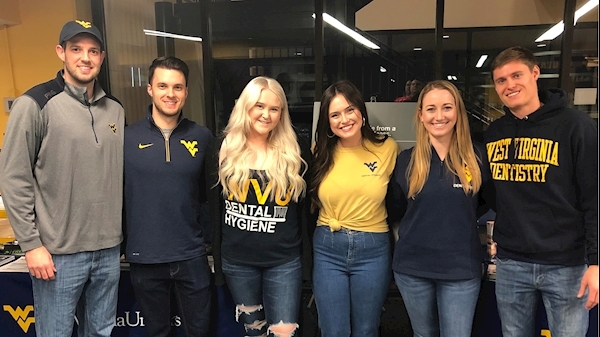 If you are a patient at the WVU School of Dentistry or WVU Dental Care who is trying to become tobacco free, ask your provider about resources to help. Our main clinic number to schedule an appointment is 304-293-6208.